I just love them - end of story (apart from it's not). Having an accessory box full to the brim with versatile items is the best - it leaves you with endless options and makes every day dressing so much easier. Remember, versatile does NOT mean boring. Perhaps your wardrobe lacks accessories and you simply do not know where to start. I would recommend starting with either neutral colours, or tones that will work with your existing items. For instance, my wardrobe consists of white, tan, a lot of blue (! ), pink, grey, green and black. So therefore, I shop to fit within the theme, or will occasionally buy statement accessories that totally transform either a basic or one colour outfit, like black for instance. I'd suggest shopping a bit smart when it comes to accessories, i.e don't buy a bright purple bag if there's absolutely nothing in your wardrobe to pair it with. A good tip to remember which I learnt whilst training to be a stylist, (although I have always done this subconsciously - OCD!) is to co-ordinate two items of the same colour. This could be as simple as a red lip to match your nails, or as above a navy bracelet to tie in with the colour of your handbag. This pulls the outfit together and makes you look styled without having to put in too much effort. Simple yet effective. I've created a few examples of different looks with accessories from the high street - most at affordable prices for their purpose. 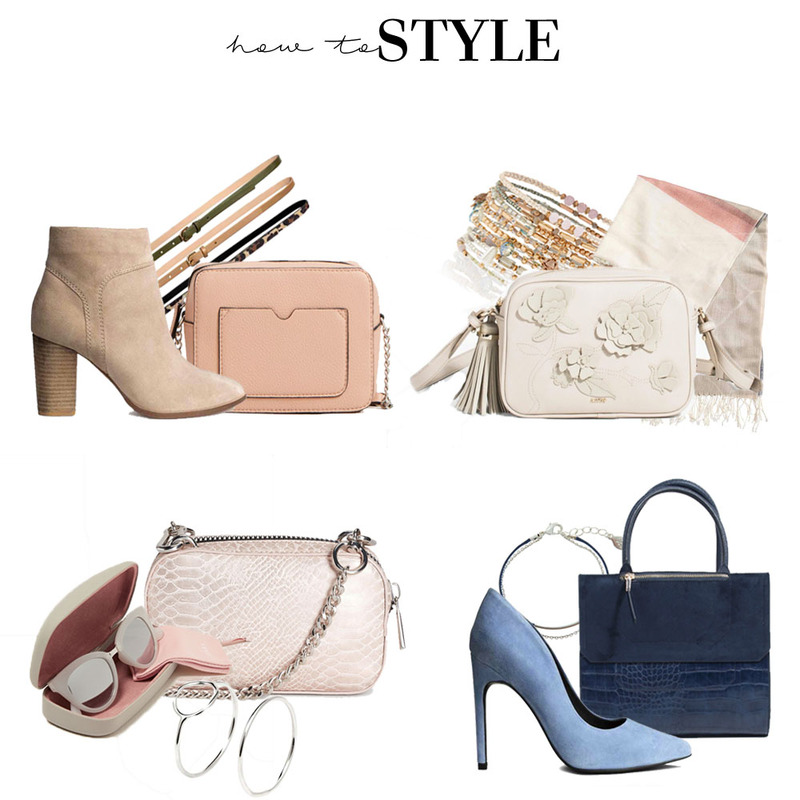 All of these accessories can be used from day to night in multiple ways - dressed up or down, they are the perfect items to add the finishing touch to your outfit.